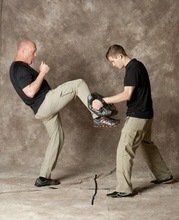 A front kick is not likely to be a fight ender, but it serves two important purposes as you close distance on a threat - to break the adversary’s base, or to move him away to break contact and go to weapons.Just a small gap allows you to close in to control a threat. In traditional martial arts, kicks are often practiced to the air. This was understandable before training pads and bags, and is still understandable in situations where you can’t afford equipment. All striking works better with resistance and this is the way most Krav Maga techniques should be practiced most of the time. When kicking to the air, there’s a tendency to leave the kicking hip neutral with the base hip - not thrusting it forward. Unless there’s a pad or bag to meet the force, it’s easy to get off balance.The snapping part of the kick creates a great gi or dobok pant snap - but without more hip behind the kick, without the hip thrusting forward, half the power is absent. Kicking to break an opponent’s base or to break contact is a vital skill in your Krav Maga training - and is part of our free POWER-6 training course. 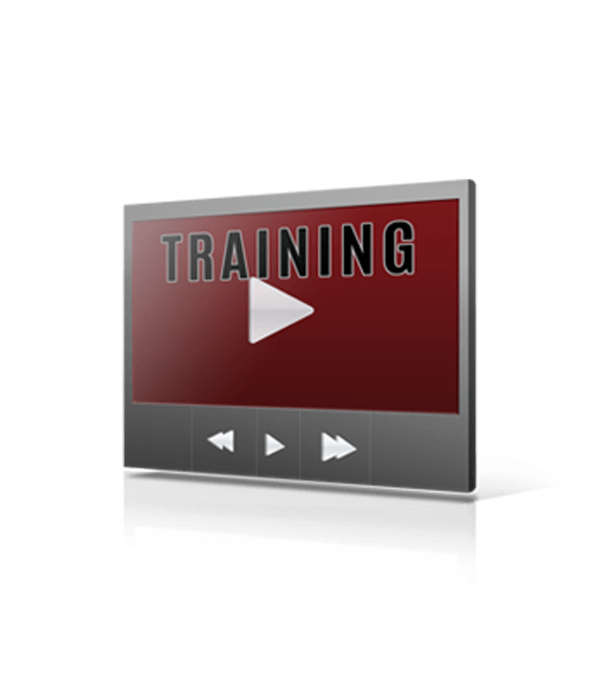 This 7-part video series teaches you how to safely start training - or supplement your training with a friend.